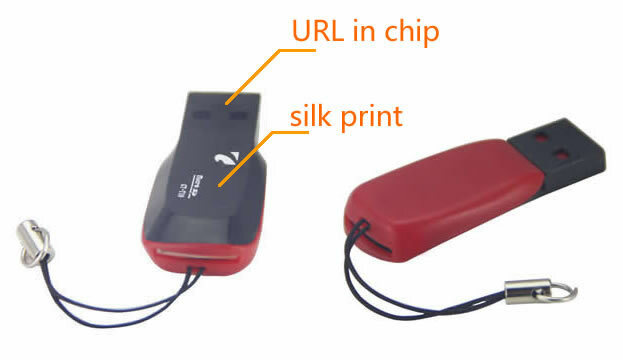 The USB web key card reader helps to promo through very widely-used tool for computer users. We choose very popular type of SD TF memory card readers, to let the clients’ end users to have a stylish webkey gadget for daily use. On the card reader, we can silk print Company logo, Phone number, Contact person, Slogan, or many more other promo ideas. In the USB connector, we integrate the USB webkey chip here, and store the URL to let end users to launch clients’ desired website to pop out.